Posted in Research News on February 8, 2016 by Tanya Schoor. 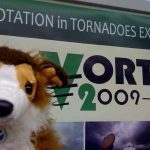 VORTEX2 was the largest tornado research project in history, logging more than 25,000 miles per vehicle in 2010! Posted in Talks and Articles on November 17, 2010 by Susan Cobb. 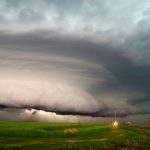 Researchers presented preliminary results from the Verification of the Origins of Rotation in Tornadoes Experiment 2009-2010 (VORTEX2) during a special session at the American Meteorological Society Severe Local Storms Conference held in Denver, Colo. in October. Posted in Talks and Articles on October 19, 2010 by Susan Cobb. 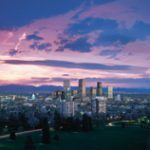 NSSL scientists presented current research at the American Meteorological Society’s Severe Local Storms Conference Oct. 11-14 in Denver Colo.
Posted in Talks and Articles on September 10, 2010 by Susan Cobb. 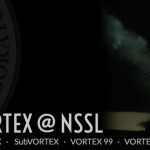 NOAA World, NOAA’s online newsletter recently posted an article about VORTEX2, a historic tornado project. Posted in Perspectives, Photo of the Month on June 29, 2010 by Susan Cobb. 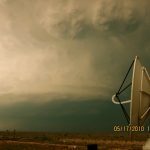 A Shared Mobile Atmospheric Research and Teaching Radar scans a supercell thunderstorm near Artesia, NM during VORTEX2 2010 operations. Posted in Outreach News on June 29, 2010 by Susan Cobb. 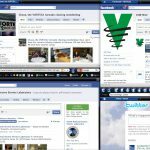 Through Facebook, Twitter and blogs, more people are hearing about NSSL’s science than ever before. Posted in Research News, Warning Research News on June 16, 2010 by Susan Cobb. Posted in U.S. 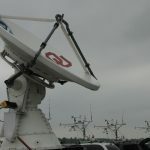 Severe Weather Blog on May 11, 2010 by harold.brooks. Posted in Outreach News on April 26, 2010 by Susan Cobb. Chase StormDawg is VORTEX2’s new special correspondent for kids. Posted in Research News, Warning Research News on April 26, 2010 by Susan Cobb. 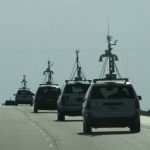 The Verification of the Origins of Rotation in Tornadoes Experiment – 2 will begin the second year of data collection on May 1 and run through June 15.